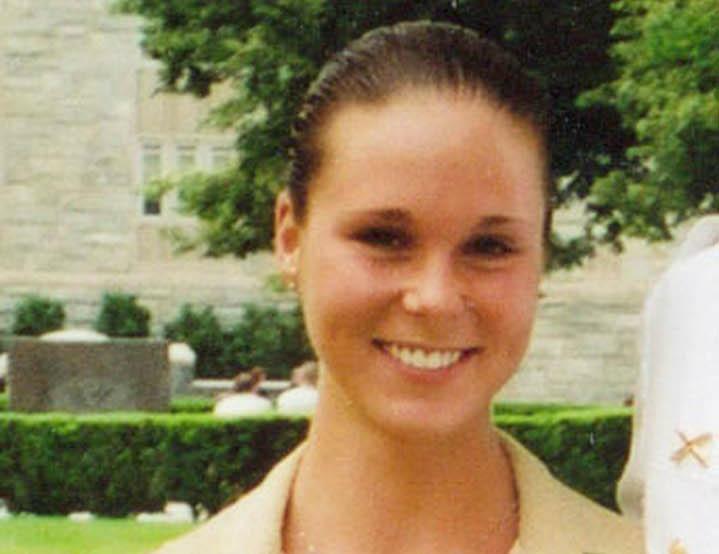 Maura Murray disappeared in February 2004. As the 15-year anniversary of his daughter’s disappearance approached, the father of Maura Murray said he believes her remains are buried in the basement of a Woodsville, N.H., home, close to where the UMass student crashed her car and vanished on the night of Feb. 9, 2004. Where his daughter was headed when her car crashed remains a mystery. Maura Murray, a Hanson, Mass., native, was a 21-year-old nursing student at UMass Amherst when she crashed her 1996 Saturn on a sharp turn on Wild Ammonoosuc Road in Woodsville. When a passerby stopped and offered help, Maura waved him off, telling him that AAA had been summoned. The man, who lived nearby, drove off and called police, reporting the crash and her location. Murray said he believes, based partly on tips from locals, that a man who lived in the home at the time of the crash, as well as the man’s extended family members who lived nearby, were responsible for his daughter’s death. Murray said a member of the search team filmed the dogs as they detected possible human remains in the basement late last year. He said the current homeowner, who wasn’t living there when Maura disappeared, allowed the search of his property. Murray declined to name the current homeowner or provide his address. Murray said he would be willing to pay for a dig in the basement, where he believes his daughter’s remains are buried, but he would rather law enforcement did it, to ensure any evidence discovered would be properly handled. Murray said he had dinner with his daughter in Amherst two days before her disappearance, on Saturday, Feb. 7. Hours later, at 3:30 a.m., Maura was at the wheel of her father’s new Toyota when she struck some guardrails in Hadley, causing $10,000 worth of damage. By Monday, Feb. 9, she had used her computer to search for directions to the Berkshires and Burlington, Vt.
She withdrew $280 from her bank account and e-mailed a professor that she had to miss some upcoming classes because of a death in the family, though there had been no such death. She told them she was needed back in Hanson. Instead, she stopped at a liquor store. Wine was found in her car after she disappeared. By 7 p.m., the locked vehicle was found in the snowbank near a stand of pine trees on Route 112 in Woodsville, about a three-and-a-half-hour drive north of Boston. Too dormant, Fred Murray insisted Thursday.